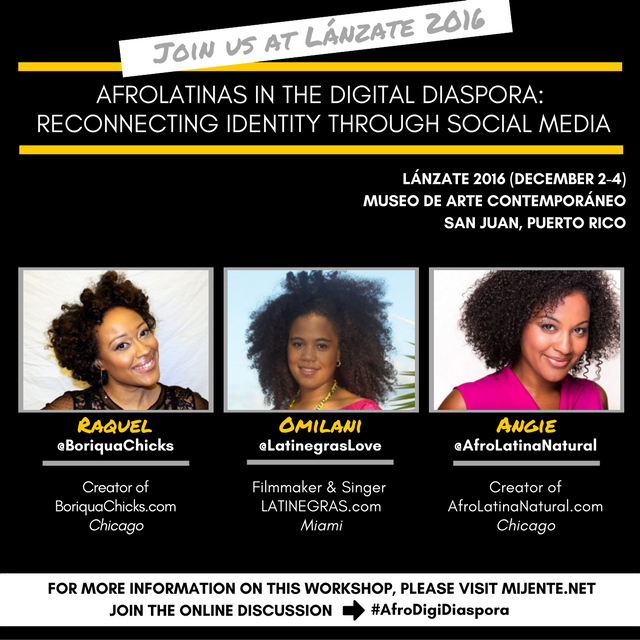 On Saturday, December 3, 2016, I will be participating in a special workshop, AfroLatinas in the Digital Diaspora: Reconnecting Identity through Social Media, at Lánzate (12/2 – 12/4) hosted by Mijente. 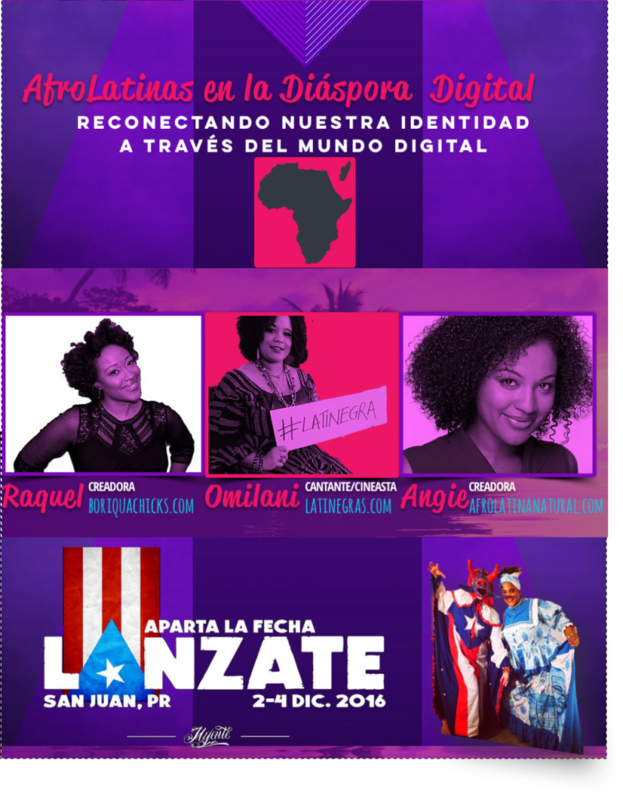 I am proud to share the panel with Afro-Boricua, Omilani Alarcon, Singer & Filmmaker of Latinegras and Afro-Dominican, Angie Galván-Rodríguez, creator of AfroLatinaNatural. There will also be an exclusive screening of the Latinegras® documentary, which captures the journey to self-identity through an Afro-Latina lens. View the trailer here. Join our workshop’s conversation on social media at #AfroDigiDiaspora and film discussion at #LatinegrasDoc. See below for our social media handles. Follow the conference highlights at #Mijente2016. We hope to see you at the event and/or online for this important discussion!